No one can ever have too many salmon recipes so here’s another fantastic one. 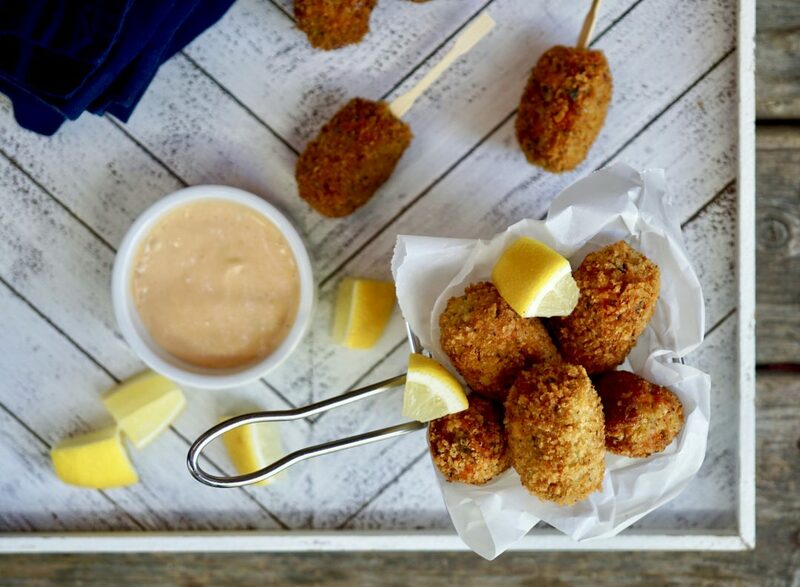 Is far as croquettes themselves go, there are numerous version out there, but I’m talking about the more classic French version, but with a modern twist and made with sockeye salmon and quinoa. The croquette itself is believed to have originated in France around the late 1890’s by the founder of the classical French Cuisine, Monsieur Escoffier. By definition, a croquette is a small fried food “roll” most commonly made with mashed potatoes or ground meat. 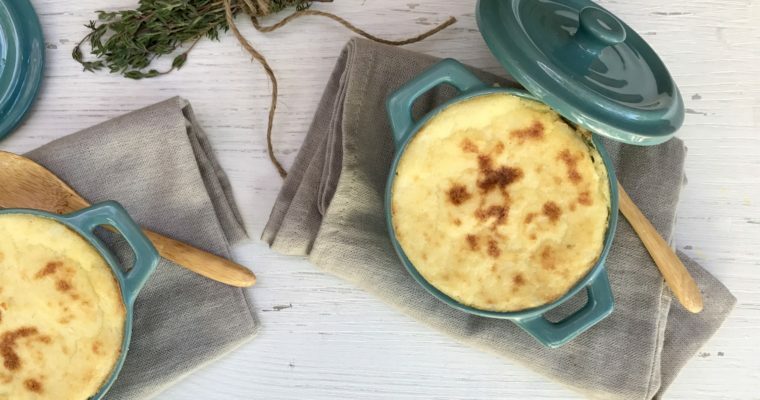 Shellfish, fish and cheese are also considered popular fillings and added flavorings of vegetables, herbs or béchamel sauce are often incorporated. 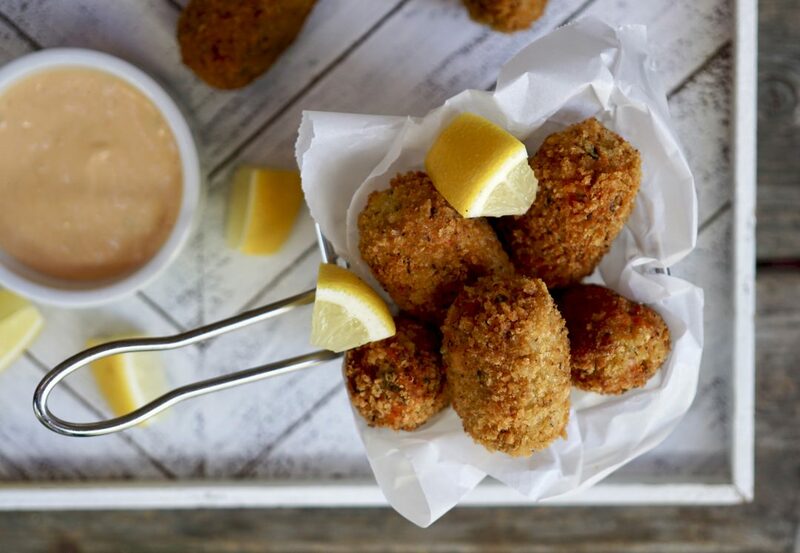 Typically shaped into a cylinder or oval shape, croquettes are most often fried, which is how they got their name to begin with. Croquette, comes from the French work ”croquer” which means “to crunch”. So to make these properly, they better be crunchy. My croquettes are similar to a standard fish cake, just shaped a bit differently. Flaky and flavorful on the inside with a crispy, crunchy outside. These are not healthful, but they are absolutely worth it. These salmon croquettes can be served as an hor d’ourves, platted appetizer or main course depending on your preferences. 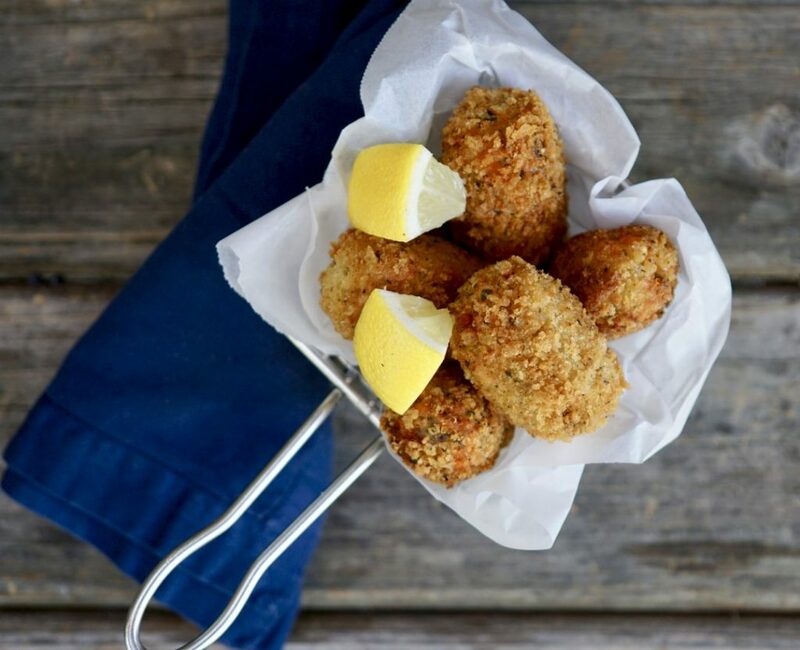 Eaten with a knife and fork or on a skewer, these salmon croquettes are delicious and paired with a glass of dry riesling, you seriously can’t go wrong. 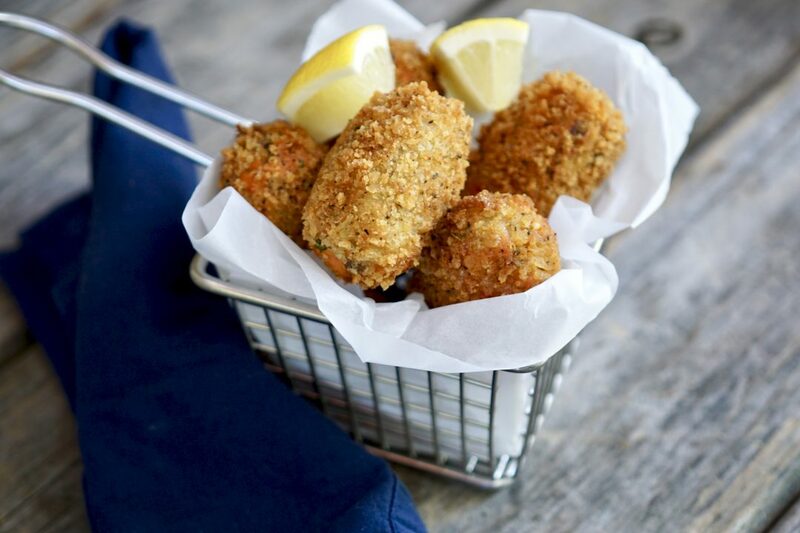 In this recipe I use a favorite, sockeye salmon, which gives these croquettes a nice, rich buttery texture. Loaded with cilantro, and lemon juice, there is very little “fishy taste” if you ask my non-fish eating son who will gobble these up every time I make them. I like mine straight up, but a nice sriracha mayo can be a great dipping sauce for those that want that as well. Step 1 For the Croquettes: Using a large stockpot, fill with water, place over high heat and bring to a boil. Once boiling, add the salmon fillet and blanch till cooked though, about 5 minutes. 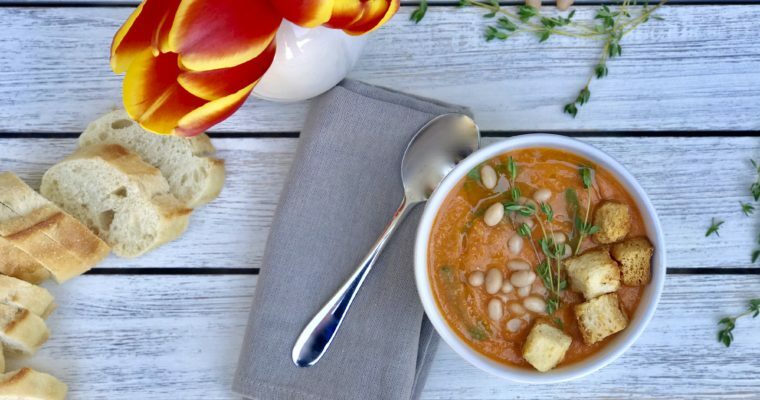 Drain in a colander and let cool. Step 2 Once cool enough to handle, remove the salmon skim and place the salmon flesh into a medium mixing bowl. Add the cooked quinoa, garlic, egg, mayonnaise, cilantro, flour, lemon juice, salt and pepper. Using your hands or a rubber spatula, mix well to incorporate. Step 3 Line a baking sheet with parchment paper and set aside. Using your hands, take about 3 tablespoons of the salmon-mixture and shape into a small rectangular cylinder and set on the prepared baking sheet. Repeat the above process with the remaining salmon mixture. Set aside. Step 4 For the Coating: Place the bread crumbs in a small mixing bowl and the eggs in a separate one and place near your work station. Working one croquette at a time, gently dip the croquette into the egg to coat. Shake off any excess egg and coat in the bread crumbs, Place back on the baking sheet. Repeat the process till all the croquettes are coated. Place the croquettes in the refrigerator for about 20 minutes to set. Step 5 Line a plate with some paper towel and set aside. Place a good amount of oil in a large saucepan and place over medium-high heat. When hot, but not smoking, working in batches, add a few croquettes to the pan being careful not to overcrowd the croquettes. Cook for about 2 minutes per side, until golden brown in color. Adjust the heat as needed so the croquettes are not cooking too quickly. Once evenly browned, place on the plate to drain. Repeat the above process until all the croquettes are cooked. Step 6 Serve the croquettes hot with lemon wedges and a dipping sauce of your choice. Thanks Tracy, you would love these. I hope you try the recipe. I am breaking my record; I’m gonna cook — these! They look so good. Haven’t had a croquette since we left Boston in 1970…..
Do it Roz, I believe in you! 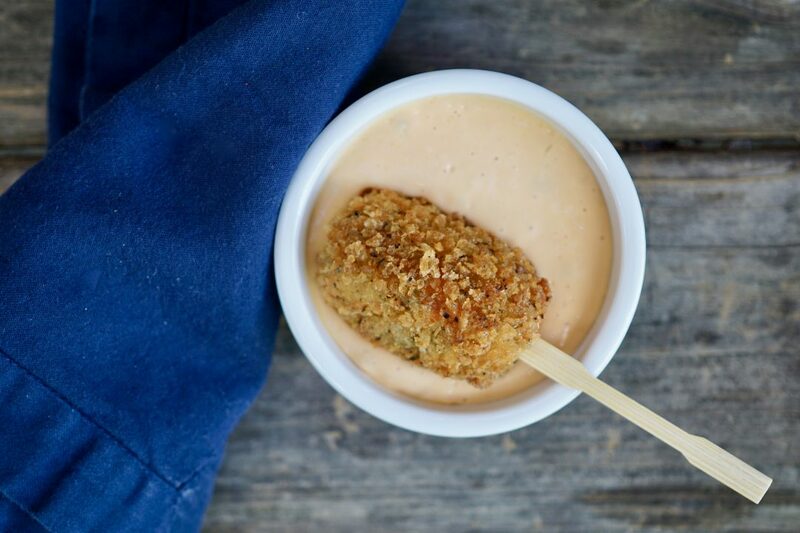 The croquettes on skewers with the spicy mayo look awesome! !